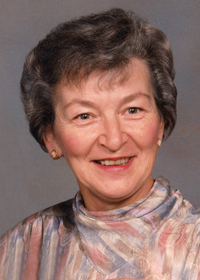 Marianne Hede Holland, 81, passed away unexpectedly Tuesday, January 29, 2019 at Iowa Methodist Medical Center in Des Moines. There will be a memorial service at Trinity Lutheran Church, 1195 Prairieview Avenue, Van Meter on Monday, March 25, 2019 at 12:30 p.m. An inurnment will take place at Iowa Veterans Cemetery in Van Meter on March 25th at 2:00 p.m. A celebration of life will immediately follow at the Van Meter Veterans Reception Center, 910 Main Street, Van Meter. Marianne was born December 19, 1937 in Delmenhorst, Germany to Willi Karl and Marie (Fahlbusch) Schulz. She was raised third of four children, and was nicknamed “Teddy” by her friends in grade school. She attended trade school for three years before venturing to the United States at age 19. She married William S. Holland on December 7, 1957 in Jacksonville, IL. To this union two children were born. Marianne and Bill had been residents of the Winterset area since 1978, and were previously from Van Meter. They raised sheep on their farm for 15 years, and two granddaughters, briefly. Marianne was a great cook and baker with a passion for gardening, and didn’t mind sharing. She was devoted to her family, always putting them first, and she proudly attended all their performances from art shows, plays, and musicals to sporting events, sometimes participating herself. She played basketball while riding a donkey for charity and had a three year run as Teddy in her granddaughter’s act for the annual Drag King show. Marianne loved and took great pride in working for the Des Moines Embassy Club. She retired after 40 years in 2017 to care for her husband until he passed on November 2, 2017. She was also a member of the Trinity Lutheran Church in Van Meter for 51 years. Marianne lived her life with integrity and grace. She was proud, but stayed humble. Her faith was her strength through all adversities (which she handled with a calmness to put everyone at ease.) She had a joyful uplifting spirit you felt when she entered a room. She always showed kindness with a sincere compassion for others. We will miss her hand written cards and sticky notes. The birthdays we shared, the stories she told and the laughter filled conversations we had. She will be remembered for all that she was, the love she gave and the lives she touched along the way. Rest in peace dear Marianne/Mom/Oma. Marianne is survived by her daughter, Annamarie Holland of Des Moines; son, Merle C. (Joyce) Holland of Des Moines; grandchildren, Anita Holland, Stephanie (Josh) Chronley, Bridgette Holland, and Nick (Brooklyn) Holland; great grandchildren, Kaleb and William Chronley; brother, Karl-Heinz (Karin) Schulz; and niece and nephews, Sandra, Marco, Axel, Arthur, Frank, Peter, Timo, and Markus Schulz, all from Germany. In addition to her husband Bill, Marianne was preceded in death by her parents, brother Arthur (Agathe) Schulz and sister Emmi (Walter) Pheil. 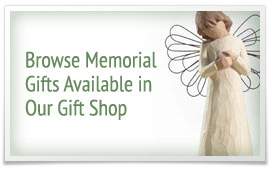 In remembrance of Marianne, memorials may be directed to the family for a future designation.